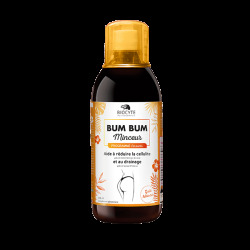 This product is OFFERED when purchasing the Bum Bum pack. Lightweight, nomadic and easy to store, you can slip your elastic band in your bag to tone you everywhere, even on the go! In partnership with Planet Fitness (national leader of professional fitness), Biocyte offers exercises developed by the best international experts in fitness. Access training videos with different levels of intensity, to help you firm up your buttocks and the rest of your body. 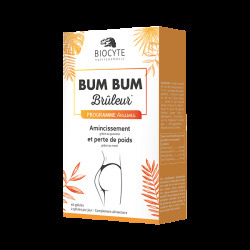 Each food supplement or cosmetic product in the Bum Bum range contains a code that entitles you to 1 month of free subscription to the FITNESS CINEMA video platform. For the purchase of a Bum Bum pack (1 burner, 1 drainer, 1 Bum Bum cream), you benefit from 3 months of FREE subscription. Visit planet-fitness.com/fitnesscinema to access your exercises. Remember to bring your access code. This one is on the note placed inside the packaging of the products. - Helps strengthen your buttocks.